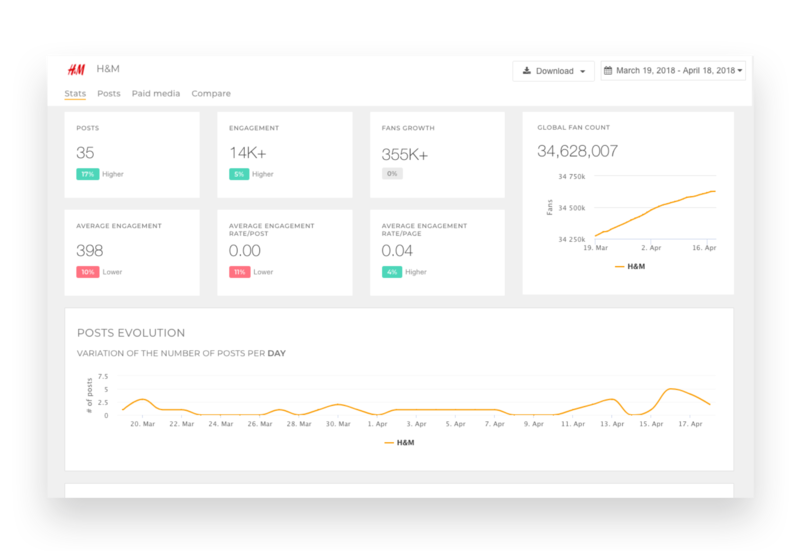 Automated Reports are a pretty useful feature for both agencies and any business. With Rival IQ you have this option with all of their plans but at a higher price. Sometimes you may end up paying too much for a service that you can get at a much better price. As an alternative, with Socialinsider you won’t have the money problem. With just a click in less than one minute, we provide you Facebook, Instagram and Twitter report that will impress your clients. You can remove unnecessary stats or add notes and comments. Knowing Facebook or Instagram insights about your competitors is a must, but if you want to know more about what your competition is doing, you might have to compare their pages to yours. Rival IQ doesn’t offer the compare part, so only half of the job is done. As an alternative, Socialinsider gives you the full package. 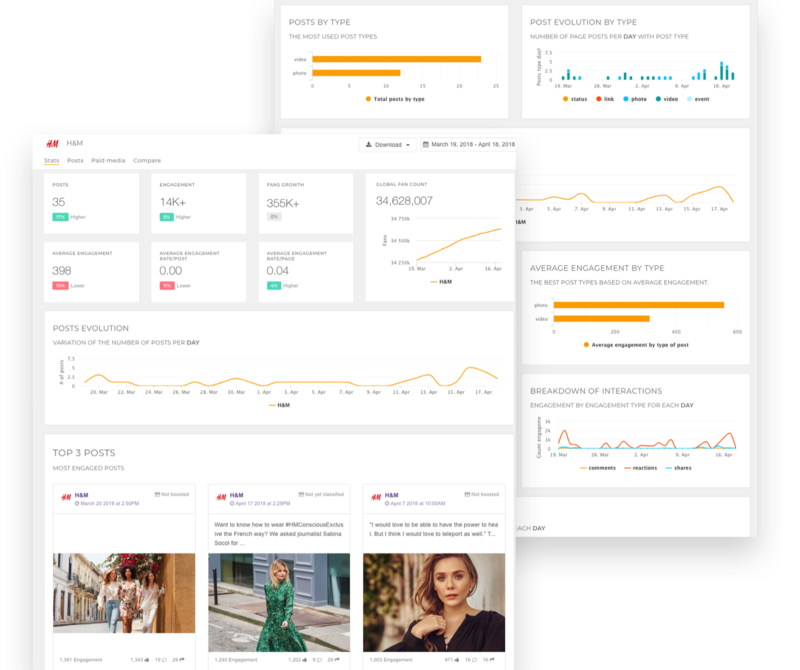 Facebook, Instagram and Twitter insights and also you can discover how you rank against your competitors, their engagement metrics, audience growth and their overall digital strategy. It is essential to know things about your competition, like what are they posting, when, why and how they manage to succeed. To know that you have to monitor and monitor as much as possible. Rival IQ helps you in this respect but at a much higher price than you should pay for 20 pages (if you choose the Engage Pro plan). 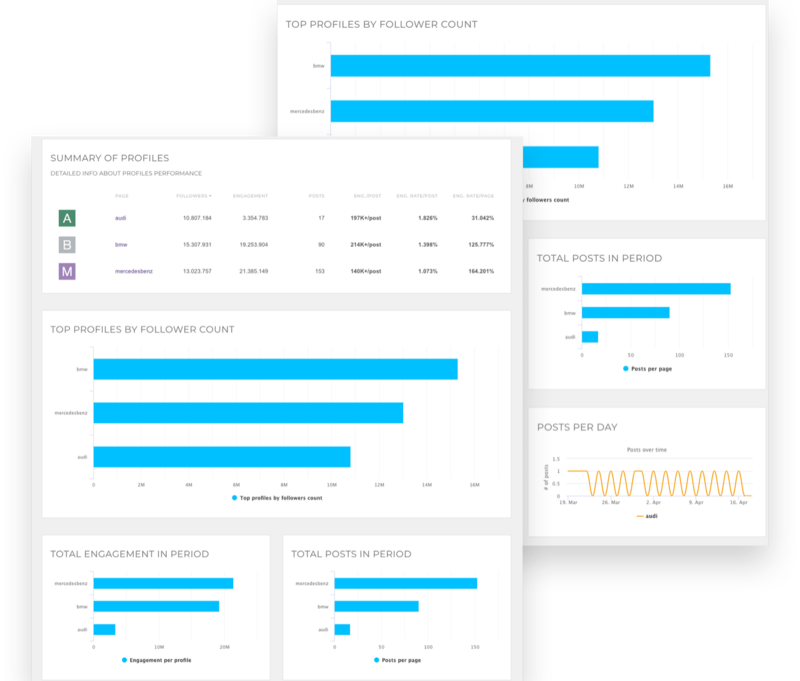 As an alternative, with Socialinsider you can monitor 30 pages of Facebook, Instagram, and Twitter for less money or if you choose the Agency plan, you have Analytics for 100 Social Profiles.